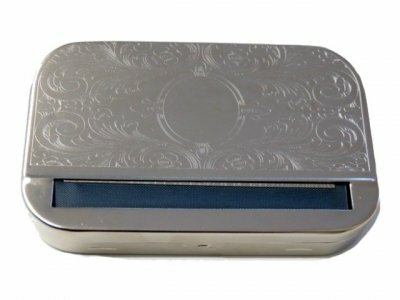 Paper rolling tins and machines to assist you to roll your own cigarettes. 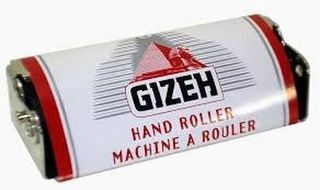 Gizeh brand regular (70mm) rolling machine and tobacco storage tin. 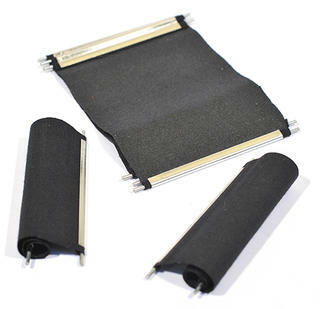 Adjustment holes allow the roller to be reset for regular or slim filters. Tin can carry: RYO tobacco, papers, filters and prerolled cigarettes. Replacement blind (70mm) for regular Gizeh Silver Tip cigarette rolling tin. These blinds also fit the other brands of regular (70mm) rolling tins. 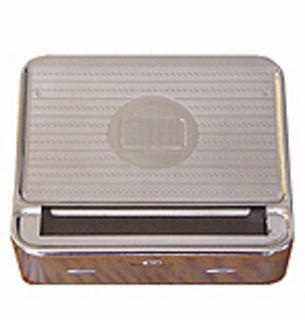 All-in-one metal tobacco tin and roller. Patterned, various, on front of lid. 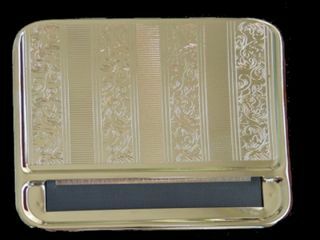 Image shows one of many available patterns. For regular length 70mm papers only. Dimensions of tin: 90mm x 80mm. For regular length 70mm papers, larger 80mm papers and kingsize 115mm papers. Dimensions of tin: 135mm wide x 85mm deep. 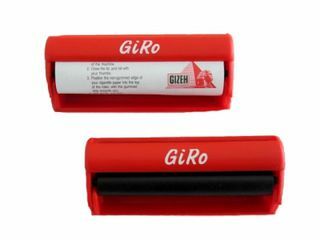 Acrylic rolling tin (70mm) with paper storage built in. 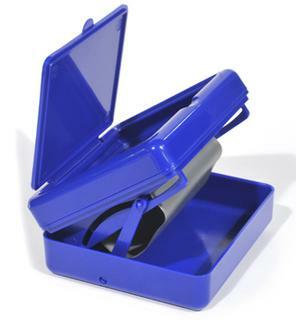 Aztec brand, Mini-Maxi model, acrylic, regular-sized (70mm) rolling machine with a flexible PVC blind and a unique diameter adjustment lever (as shown on the end of the image). Comes with free sample filters and papers. 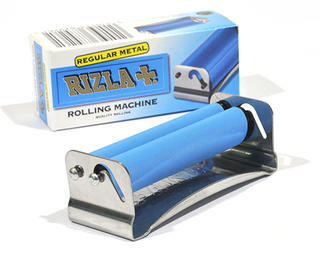 Rizla brand, Cadet model, metal, regular-sized(70mm) rolling machine for the perfect roll-your-own cigarette. Recommended for use with the Rizla Green papers (corners are pre-trimmed). 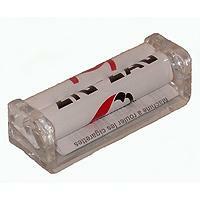 Zig Zag brand, crystal (acrylic), regular-sized (70mm) cigarette rolling machine with flexible pvc blind. Recommended for use with Zig Zag Green 70mm long papers and Slimline or regular diameter filter tips. 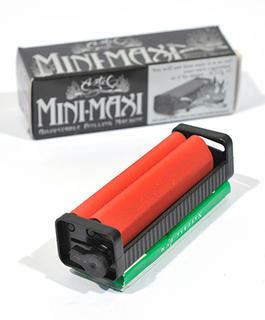 Easy to use for the perfect roll-your-own cigarette using regular length papers, with or without filters.